Bangalore: Reliance Industries Ltd has been asked by a Maharashtra state panel to make sure that its proposed construction project in Mumbai’s central business district complies with density and height requirements. “This will create an unacceptably dense construction with many adverse environmental impacts," the eight-member SEAC observed in a meeting this month, the minutes of which have been made available on its website. Reliance purchased the 2.5 acre plot No. C-66 in BKC’s G block for ₹ 918 crore through an auction in 2007 from the Mumbai Metropolitan Region Development Authority (MMRDA). In 2009, Mumbai-based realty firm Vijay Associates (Wadhwa) Developers Ltd paid a little more than ₹ 1,000 crore to RIL to develop the plot. When completed, the site will have a commercial complex, a 1,343-car park for the building and a 550-car park for MMRDA, according to the project proposal. Reliance will retain a sizeable portion of the built-up area once the project is done. 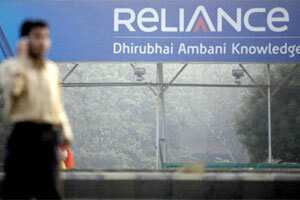 Reliance didn’t respond to an email seeking comments sent on Tuesday morning. State environment secretary Valsa Nair Singh said that SEAC is a recommendatory body that can ask for changes for environment considerations. SEAC said the total quantum of construction has risen because of the 550-car public parking area allotted by MMRDA on the plot. With the density of construction already very high, adding the burden of public parking is undesirable, particularly when this can easily be accommodated in the basement of a large open area meant for a public garden just by the side of the plot, SEAC said. “The project proposal was submitted eight months back. We will respond to the suggestions made after taking a letter from MMRDA but it would be difficult to move the car park to the adjoining plot," said Sanjay Chhabria, director of Wadhwa Developers. Property analysts said MMRDA doubled the floor space index (FSI), or the quantum of construction permissible on a given plot, for projects in G block. Above that, it has also levied the concept of global or unlimited FSI, under which individual companies could buy additional FSI from MMRDA to build more. “The issue with dense construction on a plot is that optimum infrastructure facilities should be provided, which happens in all big cities in the world but for India," said an analyst, asking not to be identified. Building the car park in the adjoining plot is not possible because MMRDA has already allotted a 2,000-car park in the basement of the adjoining plot, said Sampat Kumar, chief, town and country planning division of MMRDA. “We have earmarked certain plots to accommodate parking of nearly 4,000 cars in BKC and C-66 is one of them," he said. SEAC also observed that the civil aviation authority has set a height restriction of 84 metres above mean sea level (MSL), whereas the proposed construction is 87 m above the ground level, which may come to 89 m above MSL. “Therefore, it is essential to obtain clearance from civil aviation authority for the same. Alternatively, the project proponent shall recast the project restricting the height to less than 84 m above MSL," it said.